Sophia House is part of the Wilkins Avenue Women's Assessment Center in Kensington, Maryland and is operated by Interfaith Works. Not only does it provide emergency shelter and 3 meals a day for 30-35 single homeless adult women, but also a program of self-esteem and skill building counseling. Case managers provide clinical assessments and connect women with housing, medical, mental health and social services that enable them to work toward self-sufficiency. The Rotary Club of Potomac Bethesda supports the shelter in the form of periodic dinners and gifts for the ladies on special occasions. February 5 was windy and bitterly cold, but Potomac-Bethesda Rotarians brought warmth and Valentine's cheer to homeless women at Sophia House in Rockville. Unfortunately the big smiles on the faces of the homeless women had to be blocked out due to privacy concerns. 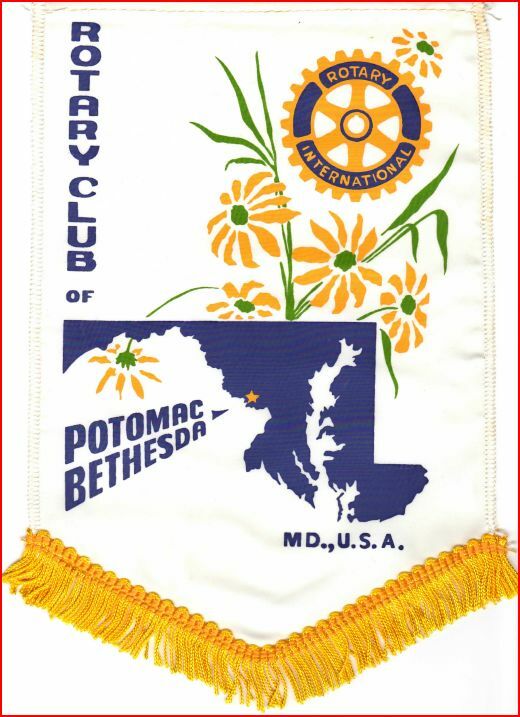 On February 5 the Potomac-Bethesda Rotary Club is having dinner at the Far East Restaurant at 5:45pm because we have to eat and be at Sophia House prior to 7:15 p.m. The timing of the dinner was set so early because (Chinese) restaurants in Rockville tend to be very busy around dinner time and we want to eat and leave to regroup at Sophia House by by 7 p.m. if not sooner. The address of the Restaurant is 5055 Nicholson Lane, Rockville, MD 20852. 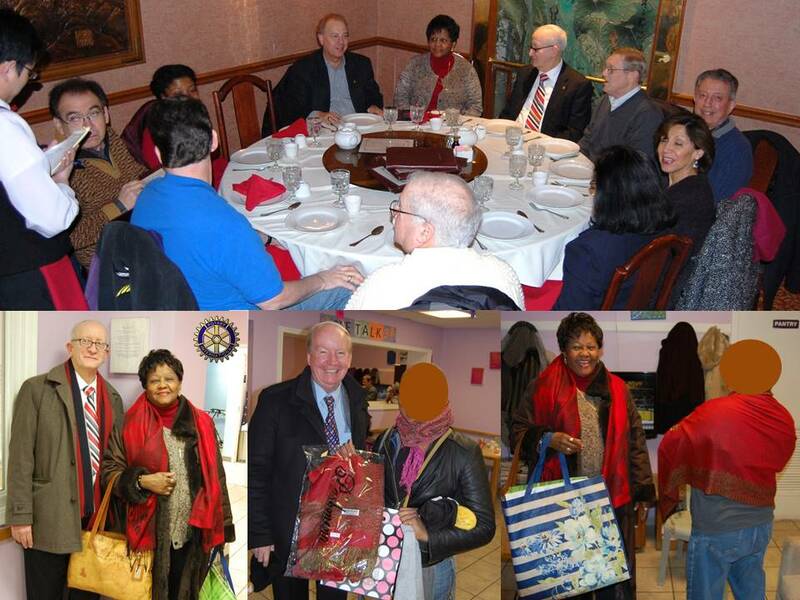 For about the past 6 years, the Rotary Club of Potomac-Bethesda has supported Sophia House residents with occasional dinners and a unique program which, additionally, provides Valentine gifts--the most popular of which continues to be shawls known as Pashminas. The Pashmina's cost about $8-$10 each, thereby requiring the Club to raise about $300 for this year's gift presentation on Thursday, February 5, 2015 at 7:15 pm. Contributions in any amount will be greatly appreciated. For additional information or to donate please visit pbrotary.org/Page/sophia-house. If you wish to donate by check or contact us please click here. Thank you for your support. Potomac-Bethesda Rotarians served up a birthday party for the homeless women at Sophia House in Rockville on July 24. Thanks to Rotary District Governor Bob Parkinson who attended. Governor Bob Parkinson sent a note to President Nabil Bedewi and Dr. Noel Howard: "Thanks for inviting me and letting me help with the birthday party for the women of Sophia’s House! A wonderful experience and the efforts of your club make me particularly proud to be a Rotarian. I was struck by the courtesy of the women who are down and out – very friendly and warm to talk to. The warmness of one’s heart, the sadness that it is that way for some of our society, and the determination one has to continue to provide service are all feelings of hope that someday we will all enjoy a modicum of the fruits that our society can provide. I call these Rotary moments, and you can be proud that you did your part to create this Rotary moment for all of us." Dr. Howard, It was a pleasure to meet you and your wife on February 13 at the Wilkins Avenue Women's Assessment Center (Sophia House). Thank you and the Rotary Club for the lovely Valentine's Day gifts which you and your wife presented to the ladies. Best regards, Theresa J. Ford, Volunteer Coordinator Assistant, Interfaith Works.